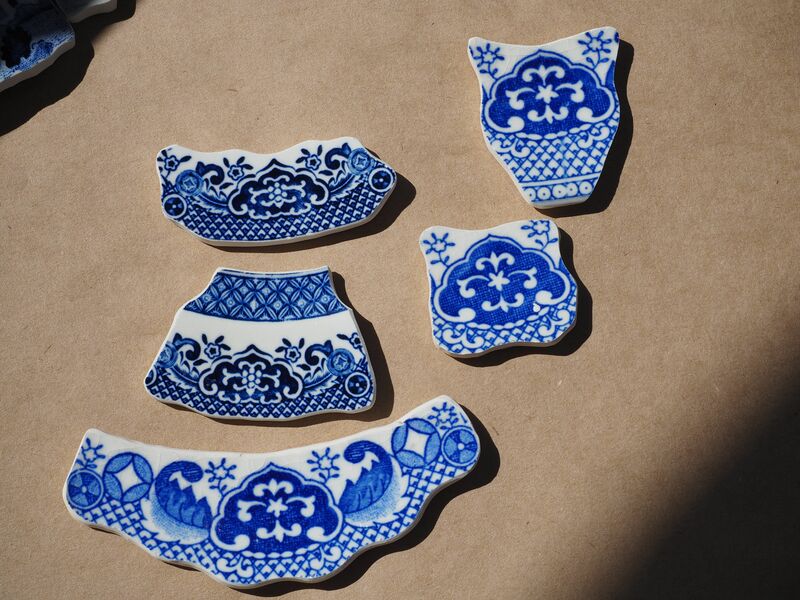 Had an order for some fancy cut willow pattern ceramics or blue and white ceramics if I didn’t have enough willow pattern . 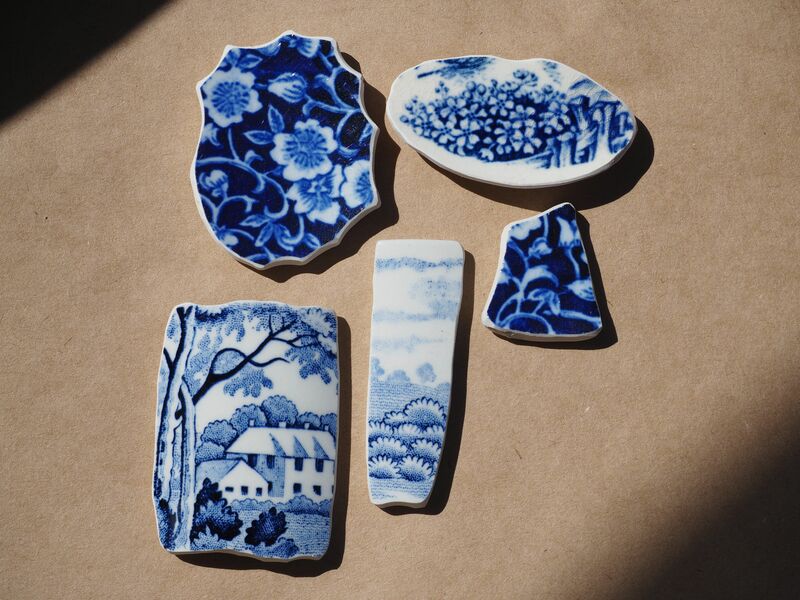 I knew I was low on willow pattern plates and have been snooping around looking for more.But no luck at the mo ,will have to get my sister onto the search for me. 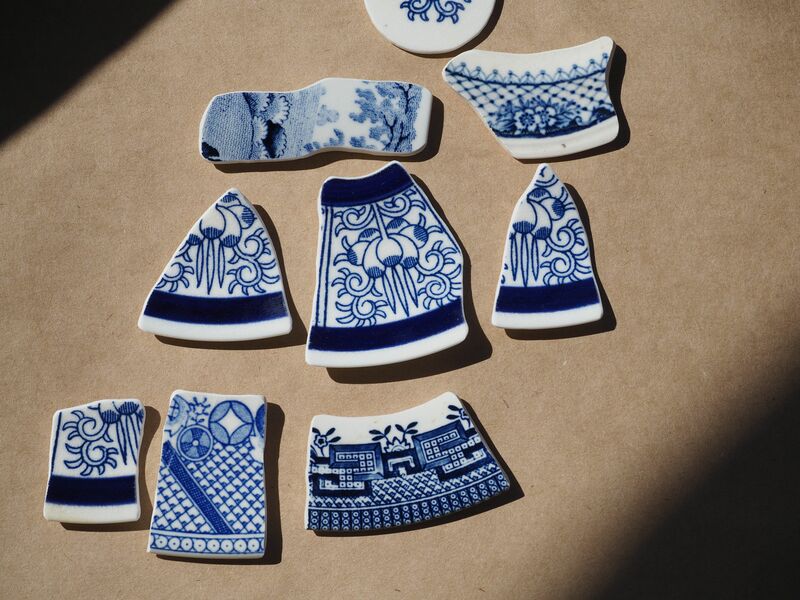 So I cut what I had and then some other blue and white ceramics into shapes suitable for jewellery making ,as well as clean up some scraps I can use either in jewellery or charm making. They still need to be sealed around the edges and holes drill if and when needed . 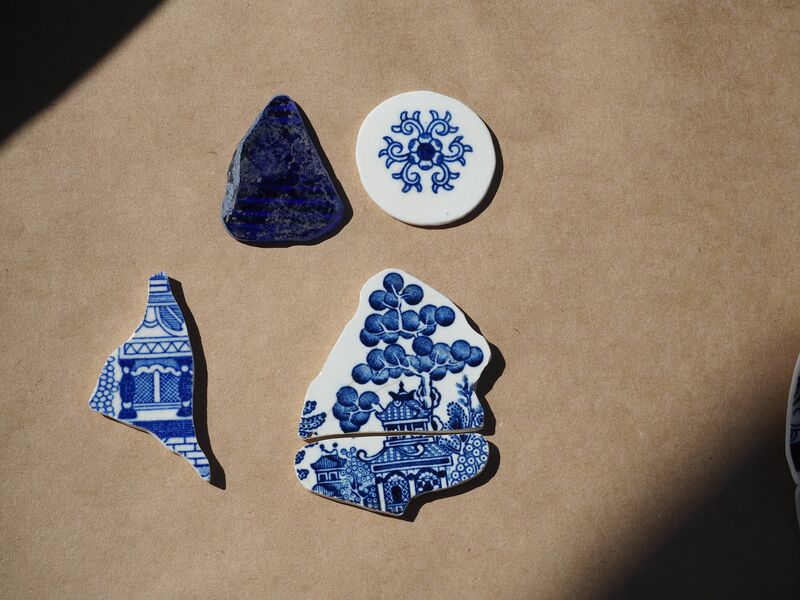 In one photo a piece of old blue glass has been ground ready to be included in a new piece of jewellery Im planing to make. just checked your blog as have had not emails to say you have added to it and hey there are new posts. Have filled in the request again to be notified.